​​​​ TYLER – Lofts, apartments, and brownstones can be found popping up all over downtown. 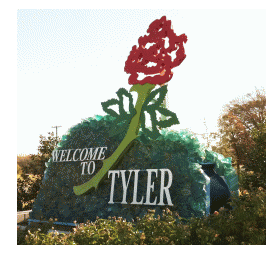 On average, more than 3,000 people move to the area each year, adding on to the Tyler Metropolitan Area's population of 225,000, and making Tyler the fastest growing metro in East Texas. An old building that most would call an eyesore on Broadway is being revamped and turned into the Wilcox Lofts, a more than $4 million project that will house more than 70 people. The large empty lot located on the corner of Erwin St. and Bonner St. will be transformed into 112 units of living space, 4,000 sf of retail shops, and a green area for a dog park. These projects are expected to all be finished within the next two years. The city is expecting several more businesses coming downtown, and is looking forward to the numerous opportunities that come with them.